After his first appearance in 1912 in an American pulp magazine, Edgar Rice Burroughs literary character Tarzan became one of the most significant pop culture characters of the 20th century and the first quintessential superhero. Published in over 20 novels and translated in more... read full description below. After his first appearance in 1912 in an American pulp magazine, Edgar Rice Burroughs literary character Tarzan became one of the most significant pop culture characters of the 20th century and the first quintessential superhero. Published in over 20 novels and translated in more than 50 languages, the story of a feral boy raised by great apes was an immediate sensation, spawning radio shows, newspaper comic strips, graphic novels, multiple TV series and countless movies.Though the vine-swinging Tarzan proved hugely popular amongst audiences, he was often met with much controversy and criticism. Despite the many heated debates surrounding Tarzan, the character nonetheless became a versatile vehicle for highlighting important topics including animal cruelty, colonialism, slavery and the current morals of society. 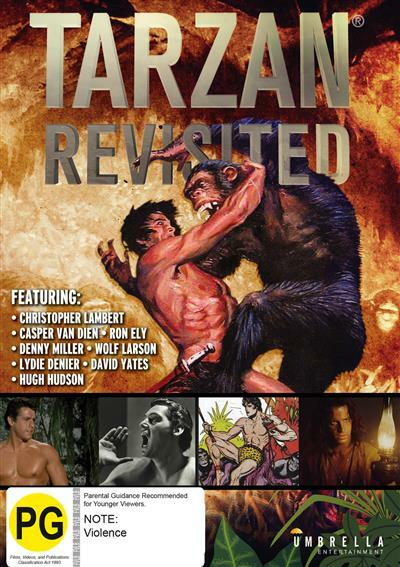 Even Tarzans primitivist return to nature philosophy remains relevant today, further illustrating why this legendary figure has endured generations of cultural change and continues to be such a compelling and timeless hero.From past to present, Tarzan: The Man Behind the Legend explores the characters extraordinary evolution, giving a detailed overview of how he was first created, behind-the-scenes stories surrounding his innumerable media incarnations, and a fascinating insight into his longevity and legacy in pop culture.